My new favorite thing on the weekend is roasting a veggie and snacking on it. The best part is finding new ways to roast it – because I do get on a kick of the same ole same ole. But this I could do over and over, it is so tasty. 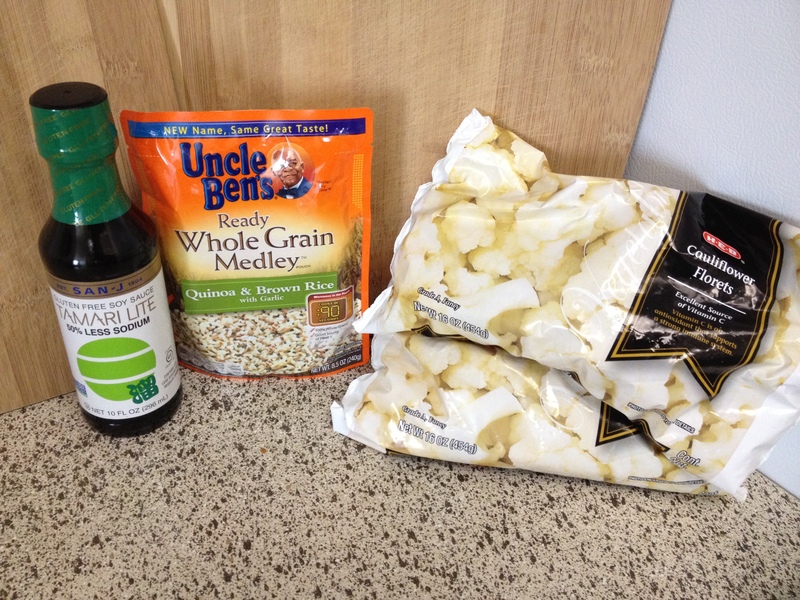 And paired with the Uncle Bens Whole Grain Medley…mmmm, this Tamari Roasted Cauliflower is great. 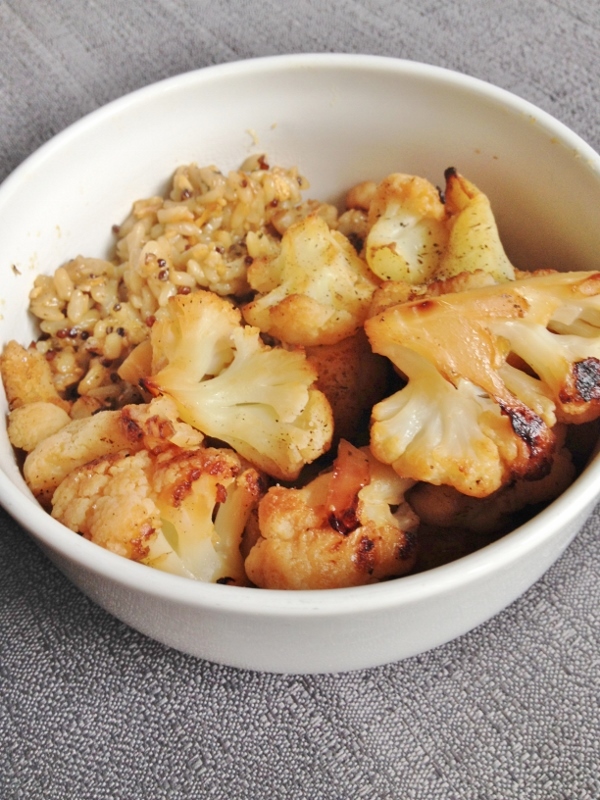 These roasted cauliflower are perfect when you don’t want to waste time in the kitchen. You don’t even have to marinate them if you don’t want to. Marinating gets the flavor in all the nooks and crannies of the flower but if all you want is quick and easy? Keep reading. For marinating get your big ziplock bag out and toss in your frozen cauliflower and pour in your tamari. Zip up, shake, and leave out on the counter. Turn over a few times over a couple of hours. It will defrost so either lay it on a towel or let sit in the sink. 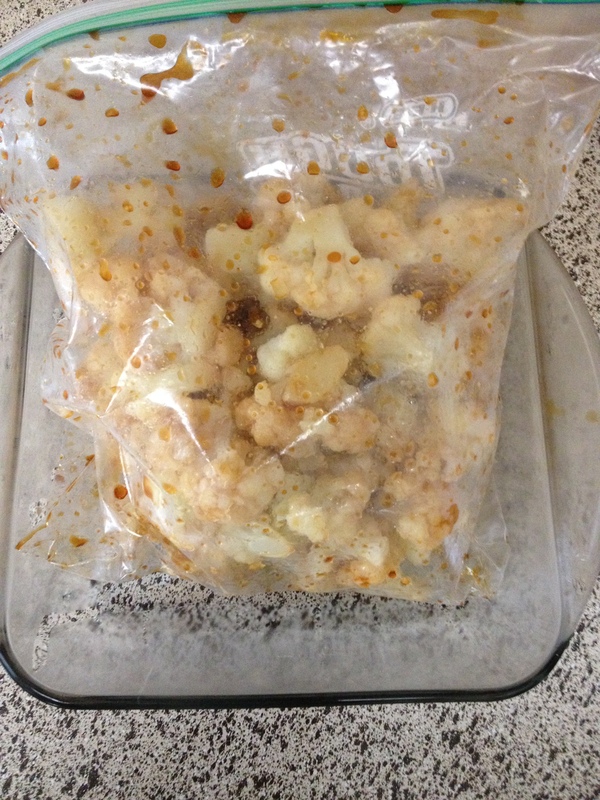 If you don’t care about letting it marinate, toss the frozen cauli bags in the microwave while your oven is warming up. Defrost for 2.5 – 3 minutes – no the bag will not melt. Line the baking sheet with parchment, pour defrosted cauli onto sheet and pour 2 tablespoons olive oil and tamari over it all and mix with hands. Roast and yum! For the minute rice – I so love the microwaveable pouches! While the bag was microwaving I sautéed a little minced garlic, tamari, and dried onion slices then dumped in the rice / quinoa mixture. Let me just say that I have never had roasted garlic before, and never really understood why anyone wanted to take the time and energy to do it…well, now I have seen the light and all I can think about is how amazing roasted garlic tastes! 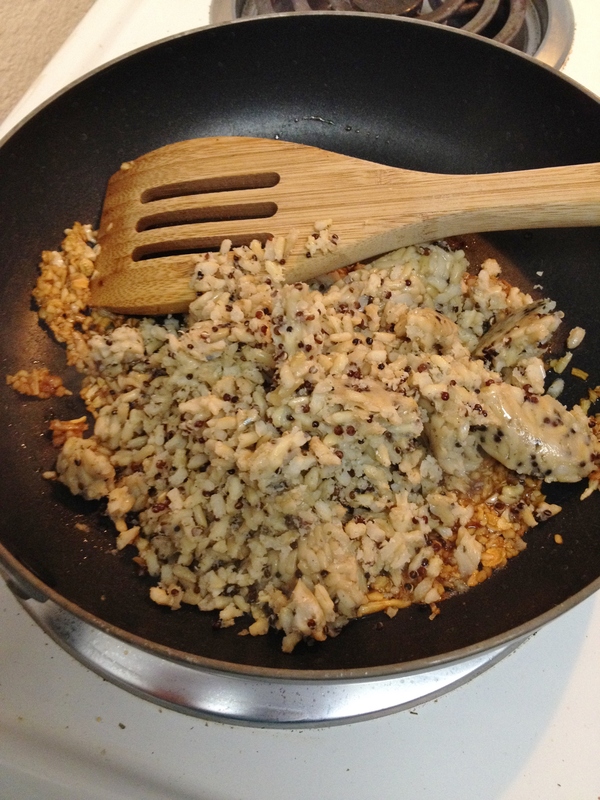 The rice / quinoa blend itself is awesome, and with the added garlic and tamari, it became sticky rice and just tasted amazing! 1. 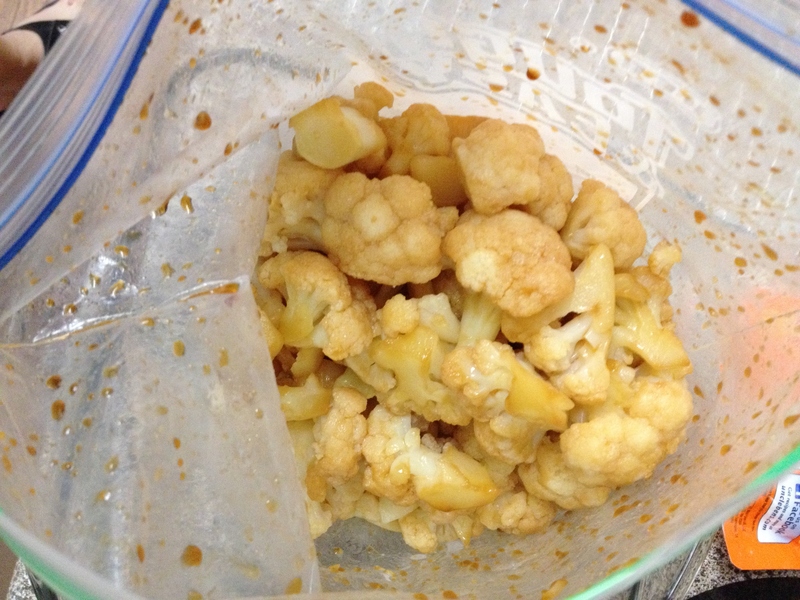 Pour cauliflower into ziplock bag along with tamari. Zip up and shake. 2. Leave zipped bag on counter or in sink to defrost and soak up tamari. Turn bag a few times during a two-hour period. 3. Set oven to 400 degrees. Lay parchment paper on baking sheet. 4. 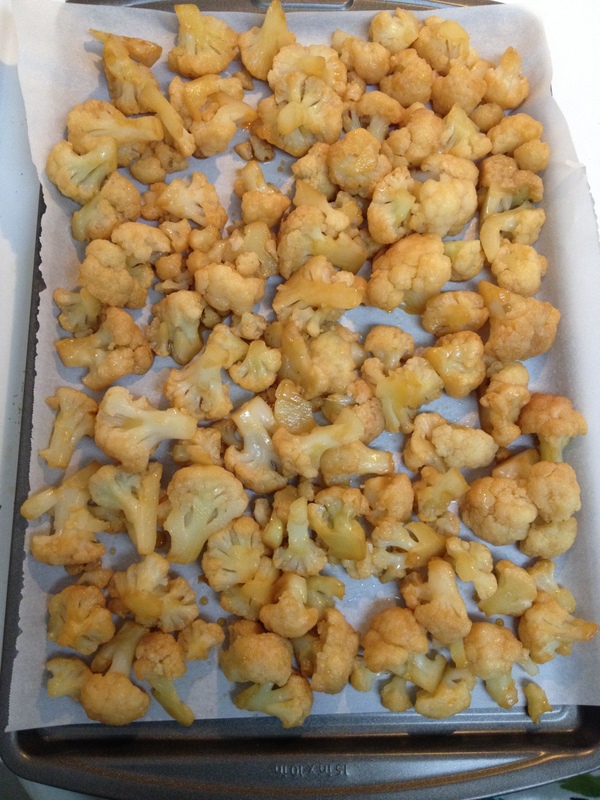 Pour cauliflower onto sheet and roast for 30-45 minutes – time depends on how brown you want the cauliflower and if the cauli is still a little frozen when baking starts. 5. 10 minutes before cauliflower is done, microwave grains. 6. 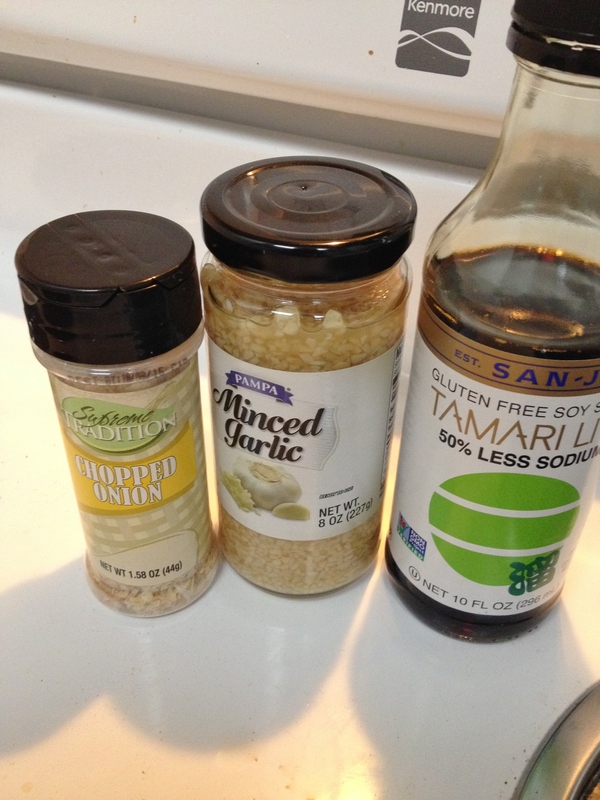 On medium high, sauté garlic, tamari, and dried onion slices. Add grains and mix well. 7. 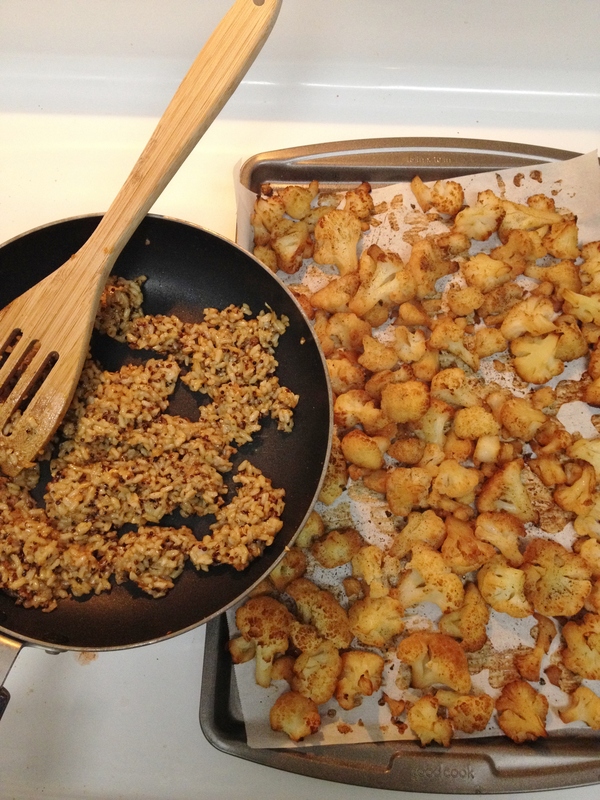 Take out cauliflower and dish up with grains. I am loving cauliflower right now! 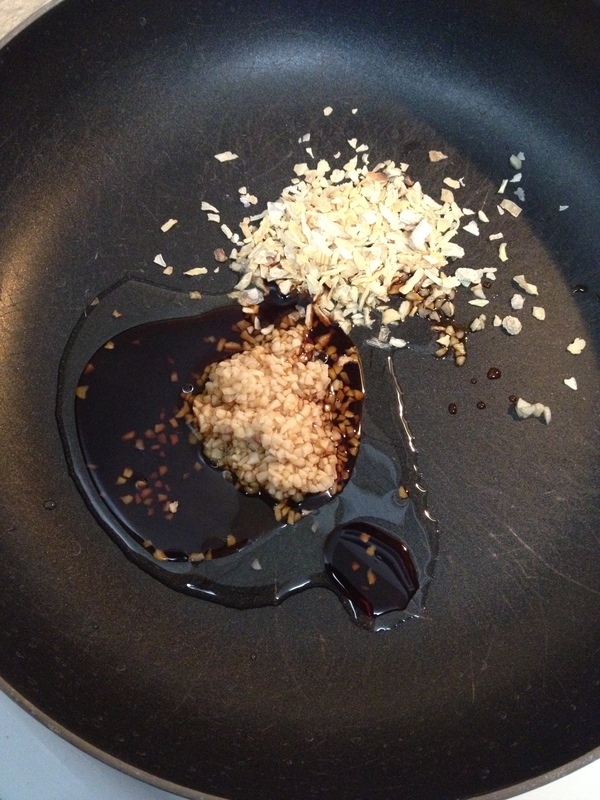 Thanks for another amazing recipe – looks so void! I love cauliflower, and it is one of the veggies I get stuck on and eat every weekend. Usually with this recipe, it is so awesome! Such an easy thing to do! I’m glad to see you used frozen cauliflower. Sometimes the heads are really expensive, but there’s no reason you couldn’t use frozen for many recipes. Thanks – and I totally agree. Fresh veggies have skyrocketed price-wise, so frozen is usually my normal way to go. You can do pretty much the same thing with them as fresh most of the time.